The 6th September 2016 was Maya's First day at Primary School. 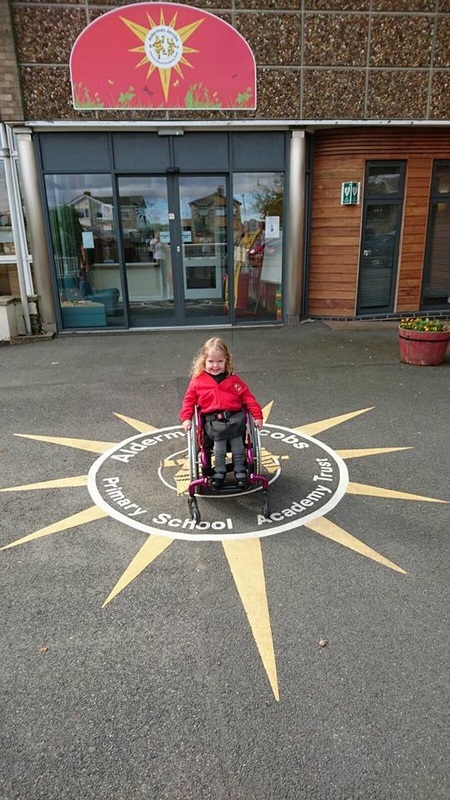 A lot of hard work and preparation from Maya, Us as her parents, Healthcare proffessional, Teachers and TAs at School and Maya's fabulous nursery (Alphabet Day nursery, Whittlesey) has gone into Maya starting Primary school. From meetings, Appointments, Visits, Endless Paper work right through to Uniforms, to the dreaded shoe shopping to Preparing her for the change. Every minute of it has been worth it to see the great big beaming smile on Mayas face today when we picked her up at 3:15. She as been so excited for this day to come and it really has lived up to her expectations, She was a complete star for us this morning. Getting ready following her routine cards doing everything as we had practised. 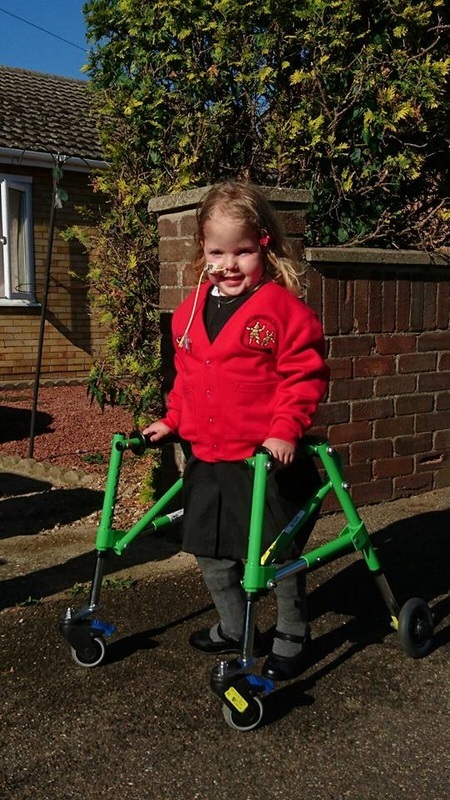 She wheeled herself to school and She went straight into her class this morning happy and smiling and very talkative eager to meet new friends and explore her new surroundings. She noticed some friends from nursery immediately and went off to play without any prompting or guidance from us so we took that as a pretty good sign it was time to leave. 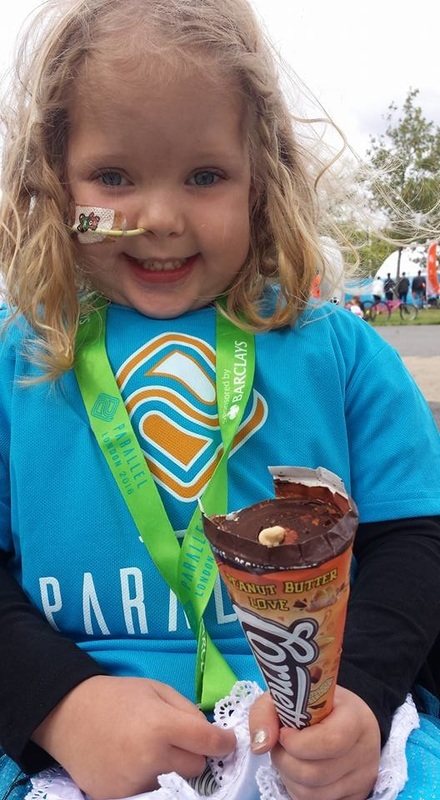 She has had a great day. 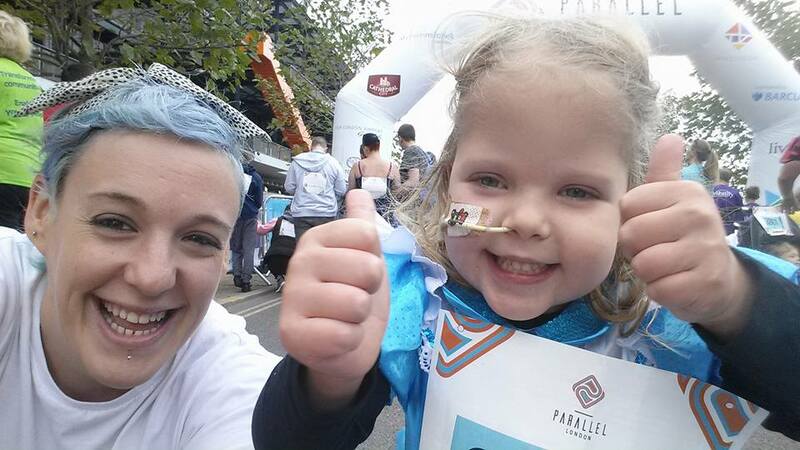 She loved going to the 'diferent room' for lunch and she had pasta bake. She enjoyed stories, playing and drawing most. She even came home with her first 'good work' sticker for good listening which she has proudly stuck to her bed and has told us it will be full of super star stickers! 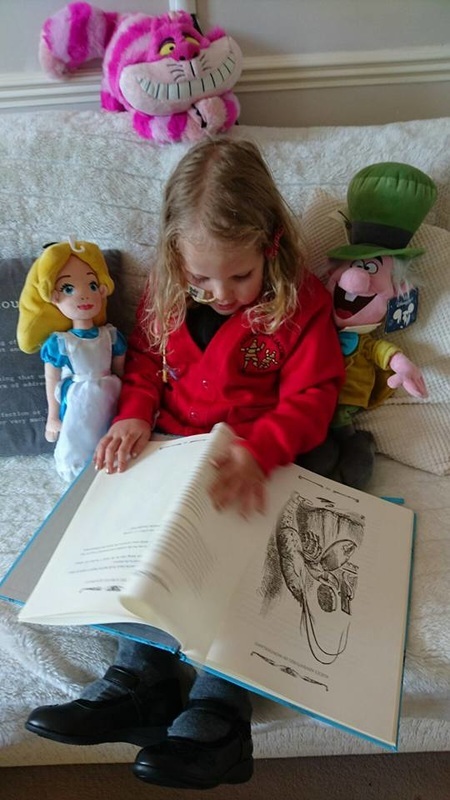 We believe Maya is going to be very Happy at her school and will settle in beautifully to her new surroundings and is ready for this next chapter in Maya's adventures in wonderland. 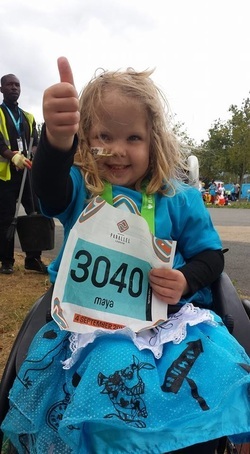 On the 4th September Maya completed her first independent 5km event in whizzy wheels! 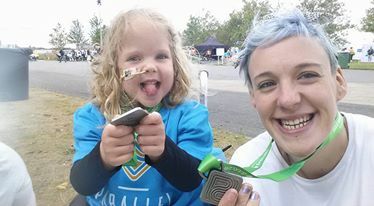 She finished with an awesome time of 51mins 21sec and managed the whole route by herself including some pretty tough hills. 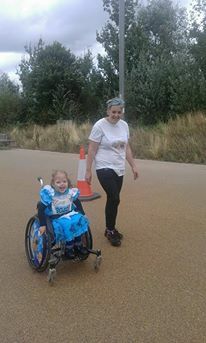 The route was part of an 'Everybody In' event with a family festival and lots of inclusive sports and activities. 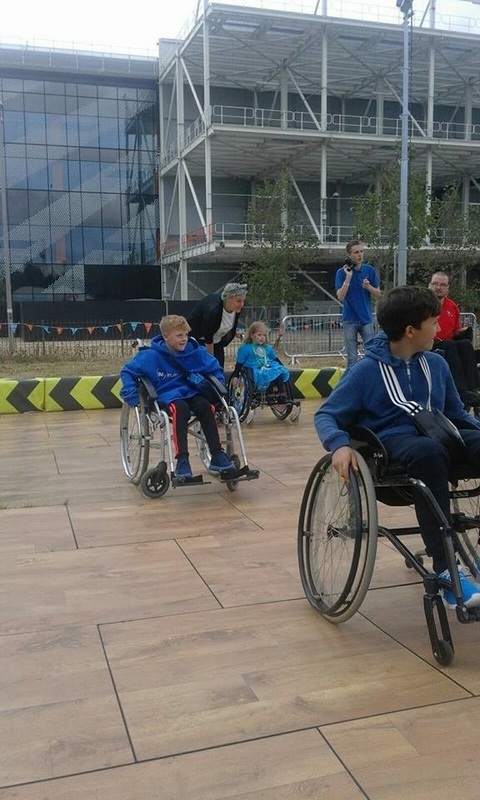 Maya particularly loved Wheelchair Dance with the Wheelchair Dance Sport Association, Sitting Volleyball and Wheelchair Rugby. Here is a few pics from the day.